There was a time the British film industry was a real, productive force to be reckoned with and was far more than low budget horror, gangsters and romantic comedies. 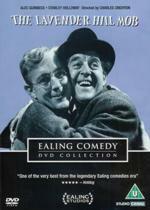 Ealing was the jewel and made a set of films that are still timeless to this day. The Ealing name does continue, but the spirit may well be lost. They were formed in a unique time. I felt like a change of pace, so broke out the box set again! This will likely be an occasional marathon, but I hope any of you that haven't sampled these bona fide classics will be inspired to look them up. Ealing’s first comedy is also one of its least well-known films, but for my money, this gem is one of the best children’s films of all time and so well made and watchable, anyone can enjoy it, especially considering when it was made and what it stood for. It’s fantastic, riotous fun with an infectious plot that kids would (or should) dream of being involved in. A group of friends of various ages realise their favourite comic, full of thrilling stories about ruthless villains, is being used by actual villains to plan robberies! Led by Harry Fowler’s Joe, they of course just dive in to get one step ahead and apprehend the criminals themselves. Damn the danger! The story is just the sort of boys own stuff Enid Blyton built a career on (Famous Five books) and what might one day become elements of Stand By Me or even The Goonies, though played lighter in general, yet more honest, with a healthy dose of realism. That said there are extraordinary scenes that play as traditional thriller. The moment two of the boys visit Alastair Sim’s wonderful author is nail biting, with gothic shadows and Sim’s voice booming out threats (turns out to be a recording and he’s actually the complete opposite!). In the final act, there are moments of true peril in a scene reminiscent of The Man With The Golden Gun, of all things (Joe, in a ruined building, tries to find the leader who remains unseen to us for some time and his laugh, echoing all over, is very unsettling). The fantastic cast bring the film to life, especially the sparky kids and the banter is great (love the "torture" scene! ), similar to a St. Trinian’s (especially the final wonderful scenes with kids swarming through the capital after one sneakily gets a call out on the BBC for “boys looking for adventure!”). They’re supported (not the other way around) by reliable character actors like Jack’s Lambert and Warner, as well as the before mentioned Sim. The plot bats along at a tremendous pace and the production occasionally borders on epic in a way that puts modern equivalents to shame. Each scene and character is treated as genuine. So the villains could be so in any film. There’s a huge fight scene late on and punches are not pulled by anyone. Whistle Down The Wind or Night of the Hunter are other good examples of this realistic style, albeit more serious, that trusts children to understand what they're watching without being spoon-fed and protected by cartoonish contrivance. Back then, British film had an identity, purpose, style and conscience and the story is set in a fascinating time. Britain was just pulling itself back together following the war, the Empire was all but over along with the outdated class structure. It was a country in limbo and the London of 1947 is a shattered place with entire sections still in rubble. Writer T.E.B. Clarke and director Charles Crichton offer no commentary on the location and turn it into a playground instead, which for children of a certain age is exactly what it was. Whether the film-makers could be so perceptive in 1947, I’m not sure, but it naturally stands for an interesting metaphor. How the kids play in the rubble would be a health and safety nightmare these days though! And we are so much poorer for it. The very last shot sums up the film perfectly for me. Some of the younger kids are lined up in the choir, all sporting impressive and significant injuries ! Me too! I think Hue And Cry runs better though. Don't know why it isn't more well known. This has been on my wishlist for close to 5 years now, I definitely have to get it. From your description, it almost has a Dickens type quality to it. And I love Charles Dickens' work. Well, not a conclusion I would have thought of, but it does kind of fit. I think it's very well written in how the kids are so independant, because as we were discussing in your Stand By Me review, that was a very important part of growing up. Passport to Pimlico is the epitome of charm. A brilliant conceit delivered with gentle optimism and good natured satire by a cast of well-known British actors, or at least to be well known. Ealing was always smarter than the Carry On series and if you look carefully you may spot a few Carry On faces before they stereotyped themselves. In this one we have Charles Hawtrey for instance and in later films, Sid James was a regular. By the way, I do enjoy Carry On, but Ealing managed to be just as funny and allowed the cast to keep enough dignity to pursue careers elsewhere! Like Hue and Cry, it's a light film, yet smartly written to lampoon British bureacracy so sharply, you may not even notice. You can learn a lot about England from this film, or at least the England we'd still like to be. Despite its age, I like to think there will always be a lot of proud Burgundian's amongst us! Although both films were written by T.E.B. Clarke, Henry Cornelius' direction isn't as ambitious as Hue and Cry, more content to let the simple story unfold without effort, but that's important, because audiences of the time would have been able to identify very easily with the people of Pimlico. Heck, I know one or two people like that now, I'm happy to say. It's still the sort of fantasy that dreams are made of; finding a treasure trove under your house. But the daily lives they lead are like anybody. The Mouse That Roared has a similar idea, but goes for a much quirkier execution. The dependable Stanley Holloway leads the cast and the town into their small rebellion and you'll have a big grin on your face throughout. The ubiquitous Margaret Rutherford pops up as the professor. She's hilarious, but I'm glad it's a reduced role because she could be overpowering, bless her! On the other side at the Government, we have the wonderful Naunton Wayne and Basil Radford essentially reprising their double-act from The Lady Vanishes! Remember that one for your pub quizzes. It's a stirring film and uplifting when we see Londoner's banding together to help the little "nation". And great, good hearted fun as they fight back to get water or impose customs checks on the underground. And of course, no-one gets really upset. In fact the final scene features a typical British rainstorm, while at the start it is very untypically hot, almost suggesting the whole thing was caused by a heatwave sending people a bit silly. "Mad dogs and Englishmen go out in the midday sun" perhaps? We do seem to like bureacracy in this country and I can't think of another film that has so effectively laughed at us and with us at the same time. Still, it's the sort of story that could easily run out of steam and require awkward contrivances to drag it to a conclusion, so it's commendable that it never feels like it's overstretching and in fact, the conclusion is rather clever. Oh, I'm sure you could be picky and find some sort of issue with it, but that would be very British and as the film is all about looking past our pedantic nature, it's far more fun to enter completely and willingly into the spirit of the thing. Perhaps this was a film to remind the British people who they really were while things like the ration were still going on ("I never thought I'd be glad to see these again", says Philip Stainton's kindly copper of the dreaded ration books). It still has that power to do so, if modern audiences could allow themselves to watch such old fashioned whimsy. I think they need to watch it really and get some perspective about what's really important. My favorite line in the film is when Stanley Holloway's wife yells from a window, down to the crowd below, "It's because we're English, that we fight for our right to be Burgundian"! Both above titles wish listed. May have to wait and read more of the reviews to come, maybe I will order the Definitive Studio Collection sets. 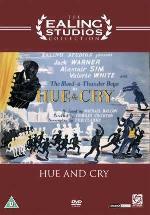 Director Charles Crichton and writer Tibby Clarke team up for the first Ealing comedy to be produced in Technicolor. When an antiquated railway line is threatened with closure, the villagers decide to run it themselves and enter into frenzied competition with the local bus route, with hilarious consequences! 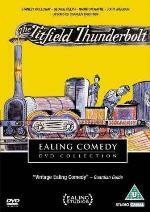 The Titfield Thunderbolt is another charming film from Ealing with a typically witty screenplay from regular writer T.E.B. Clarke, working once again with director Charles Crichton, who together made several Ealing films including The Lavender Hill Mob for which Clarke won the Academy Award for Best Screenplay. I think he deserved it for this too; it so sharply lampoons British traditions (a love of trains) and problems (selling off industry, despite the loss of community). We are a small country and feel it deeply when a way of life comes to an end, which happens all too often in the name of cost cutting efficiency and bloody health and safety. Though the film good naturedly pulls the leg of traditionalists who are blinded by nostalgia, it also rallies against those who ignore it. When John Gregson calls on the villagers to support them running the railway themselves and he says the “village will die without it”, he is sadly correct (in general and specifically if you watch the included clip). That scene at the town meeting also features a hilarious argument that exposes the absurdity of unions. And later, the vicar panics when he hears they are making a profit. “We’ll be nationalised!” he wails. There are endless touches like that though; a civil servant arriving at the Ministry for Transport on a scooter or my favourite, Naunton Smith saying he will not be made a fool of, while pulls his suit over his pyjamas! Early on when the vicar first says they cannot let the railway go and is told the Canterbury line closed, he replies, “well, there cannot be any men of faith in Canterbury”! However, Stanley Holloway steals the show as Mr. Valentine, the amiable, but permanently drunk millionaire (or near enough) who agrees to fund the venture. The banter as he is persuaded to do so is wonderful (check out the clip below). This is all in the fabric and sadly, the future of the story. Really the plot boils down to the rivalry as the bus company try to sabotage the new venture, but the motley crew of amateurs (funded by a drunk, driven by a vicar!) refuse to give in. I’ve never been a train-spotter, but the gorgeous photography could turn anyone into one. The story doesn’t call for a notable visual flair, but Charles Crichton is clearly in his element and loves playing with train-sets! And seriously, the sight of these engines billowing steam through the countryside is enough to inspire anyone. He also pulls off an impressive crash and the resultant sequence of Dan and Mr. Valentine drunkenly stealing another engine is fantastic. I wonder if this is the first instance of crashing through billboards with apt phrases, a staple of action films? First the engine smashes through one and then a car swerves to avoid it and hits a second sign that recommends careful driving! His last film was A Fish Called Wanda, which also had inspired lunacy. It’s a lot of fun with a cast of wonderful characters in an eminently infectious and watchable farce. It plays on national nostalgia while pointedly satirising the post-war policies that killed off a way of life, yet it is never being less than utterly charming and is frequently hilarious. Somehow I think Genevieve from the same year is more well known. It also stars John Gregson and the stories bear similarity, but this is far better while the other film has dated very badly. This film was part of an Ealing boxset of comedies that I purchased a few years ago. I must admit that this one didn't really do anything for me. It has a cute tale, but it kind of moves at a snail's pace. I rated it 3 out of 5 stars. Possibly, but I do like the pace. I did want to say that when I first saw it, I really liked it, but something about it made me dismiss it. Don't know why because it has alleviated on subsequent viewings and I see now it has a little more substance than I gave it credit for. A meek bank clerk who oversees the shipment of bullion joins with an eccentric neighbour to steal gold bars and smuggle them out of the country as miniature Eiffel Towers. T.E.B. Clarke won a deserved Academy Award for this marvellous screenplay. Still clearly post-war Britain, there are undertones of social and political satire, but it doesn’t detract from a wonderfully funny heist movie. There was a big increase in crime following the war; indeed this was inspired by classic The Blue Lamp with a similar, albeit serious, tone. The police are presented as largely ineffectual (a late scene shows how forward thinking and scientific they are, but are quickly turned into a chaotic mob to the tune of Old MacDonald! ), but not unkindly so, which is the enduring skill of Clarke’s films, that he had resolve enough to tear institutions to shreds, but always with a smile. I suppose it says something that the police appear far more professional than they do now! Of course we no longer reside in “post-war” anything, but the film hasn’t really dated. It’s still an effective heist film with a breezy, hilarious nature that identifies with anyone heading for a mid-life crisis. The premise is infectious. What if you could come up with the perfect crime, exploiting your own daily routine, so you could retire with a fortune? That’s the meticulous plan Alec Guinness has been cooking up for 19 years as fastidious middle-class Henry Holland (or “Dutch” as he asks to be called later on), responsible for transporting gold bullion. He meets jovial Stanley Holloway who makes holiday ornaments and gives Holland the idea of how to shift the gold (disguise it as Eiffel Tower models and ship them to Paris). They quickly ensnare a couple of proper criminals (Sid James and Alfie Bass) and set the plan in motion. It’s a well done plot, actually authorised by the Bank of England. Clarke asked them how such robbery could take place and they formed a committee to tell him! It bats along and fits such a lot into its short 78 minutes, it feels more substantial yet nothing feels rushed. It even has a framing device. Alec Guinness is telling the story from Rio, where he has been living the high life (a young Audrey Hepburn is there too, the lucky devil!). Guinness was without a doubt one of the greatest actors of all time and his characterisation of Holland is perfect from note one, right down to mispronounced “r”’s and a wonderful cheeky glee that reveals itself in the briefest of moments. There are so many layers to what would be a very two-dimensional role these days. He is intelligent and passionate (his reading of a crime thriller to his landlady also reveals Clarke’s obvious love for pulp fiction, as he showed in Hue and Cry), yet is happy to be a quiet, subservient, pedantic laughing stock to his colleagues. All part of the plan, yet the tics are so organic, he really is all of those things. Honestly, you could watch this performance time and again. 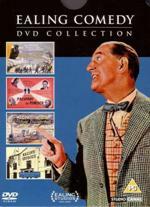 Stanley Holloway is at his best too and the scene where Holland drips the idea into Pendlebury’s mind is superb. Dependable Charles Crichton directs and as with Hue and Cry, some of the photography is wonderful and he finds all sorts of opportunities to stage some great sequences. The charge down the Eiffel Tower is as brilliant as it is indulgent, as is the farcical car chase. Great fun and still effective. 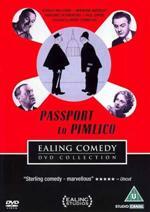 One of Ealing’s most enduring comedies. It's been a while, so I think I'm going to watch this tonight. Sidney Stratton (Alec Guinness) is a quiet scientist working at Michael Gough's textile mill, but running unauthorised, costly experiments for which he is fired. He gets a menial job at another mill and through a fortunate turn of events gets access to their science lab, where he successfully achieves his dream: a material that is indestructible and never even gets dirty. Stratton's dream though, turns out to be a nightmare for the industry as it could see them shut down. The Man in the White suit is one of Ealing's finest films and may just turn out to be their most resilient, as its themes are timeless and you will likely always find something about the story to identify with. Alexander MacKendrick's gives elegant direction to his political screenplay which can be interpreted several ways and still packs a punch that gets you thinking. That said, it isn't as fundamentally entertaining as the other comedies, despite some wonderful set-pieces especially during the experiments, but it must have been a difficult narrative to balance and it all pays off in the sobering final act. Guinness is brilliant, though slightly unlikeable, as the awkward and unintentionally sneaky scientist. It's important to note he has no motive except an innocent desire to pursue his talent, which of course we should all have the right to do. After some farcical and fun problems with the experiments almost destroying the mill, he succeeds and Cecil Parker immediately plans to produce it, first making Stratton the white suit of the title. As the industry starts to implode, he becomes a target for everyone. No-one seems to know what to do with him, even Joan Greenwood as the mill owners daughter, who takes up his cause and fiercely defends him. The problem is, he is absolutely altruistic, so no-one has a hold on him. All he wants is for his invention to exist. No-one is a villain in this film, yet there is massive conflict. Why shouldn't Stratton develop his skills? The mill owners argue incessantly about how to do handle it, but they're in business to make money, so why shouldn't they try to exploit what will surely be the perfect fabric and so the natural endpoint of their industry? But the workers can't allow it to exist otherwise their jobs will be at risk. The status quo may be boring, but it's about survival. It's Capitalist versus Socialist and the story demonstrates the delicate balance that we all need to live in. Greenwood's role starts off a little pointless (the relationship with Gough seems forced and unresolved, though maybe I've missed something), but she adds another interesting layer when her father and the other owners try to bribe her to exploit her friendship with Guinness and she becomes a passionate thorn in their side. Because Stratton represents a problem for all the other characters, he has little chemistry with anyone and so is hard to identify with for the viewer and occasionally the plot comes undone because of the awkward way he interacts with the other characters. Still, it is the nature of the beast because he is a fascinating construction. He has no back-story and no arc to follow; in effect he is the unknown variable introduced only to demonstrate how dangerous change can be. From a purely technical point, MacKendrick's narrative is a fascinating example of how to structure a screenplay (following the 'equilibrium' theory, the Stratton character is literally the embodiment of the second stage disruption). So it's dry and political and is like catnip for film nerds! 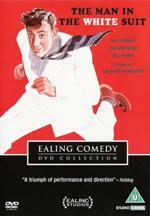 But at just 85 minutes, it's also concise and the typical Ealing wit and farce is still present, so it's great fun too.